Category: "Best Friend Book Project"
When living in this forever changing materialistic world, it’s easy to forget what our most important possessions are. It’s not uncommon for people to spend thousands on a large TV or a new piece of furniture, but if your house was burning, what would you grab? Your loved ones of course!!!! Your family, your pets and the memories you have recorded together. Here at PAWtraits we are lucky enough to meet amazing people and their pets every day, those seeking to capture those closest to them in a relaxed natural setting. A lovely lady called Catherine contacted us recently, her parents are in the late 80s and early 90s and her beautiful dog Kobe – (Labrador/Rotweiller/Kelpie cross – rescue dog) is getting on in age being 13-14 years old. She understands that tomorrow isn’t promised to any of us, and she wanted to celebrate just how much those close to her meant in a way that she could treasure forever. Catherine decided a personal, designed Fine Art Album was perfect for this. The joy of laughter throughout the session and again at the viewing session was so beautiful to hear. The tears of appreciation, and gasps of delight when they first touched their Album just gave us both goosebumps. Knowing how much this Album will be treasured by this family just makes us at PAWtraits believe we have the best jobs ever! Capturing their personalities and relationship in our easily accessible outdoor studio insured that those with limited movement were still comfortable and able to participate fully in the session. It’s hard to understand the importance of being professional photographed when we live in todays complex digital world and life is always just so busy. It’s sadly when it’s to late (someone passes), that many people truly start to understand the importance of legacy images. We just don’t want you to be that person. A truly beautiful photo, be it of your mum, dad, children, spouse or loved pet is worth more than anything. Celebrating those you hold dear isn’t something that you should put off any longer. YOU yourself are beautiful today. No matter what you weigh, or how many happy lines you have. Your kids thinks so, as do all of your loved ones. They love you through and through, as you are. Tomorrow is not promised to any of us. So get yourself and loved ones in front of a camera today. Call today on (03)9482 2006 and we will happily talk you through how to get the very best out of your PAWtraits/Lifeworks Photography session! Having a pet in the home benefits the whole family, children especially! Children love their pets and for good reason. No matter the size of the animal all pets teach, delight and offer a special type of connection and companionship. Having a pet fosters skills in a child go far beyond just responsibility and empathy, the presence of animals in the home help with a child’s emotional, social, physical development and cognitive development. Here at PAWtraits, we love capturing the connection and pure joy that animals bring to our lives. Last month we were delighted to photograph this little girl and her puppy Milo, the connection and admiration they had for one and other was just the sweetest. Milo is a chocolate coloured Lagotto, his best friend is a beautiful, intelligent 4 year old. Due to the young age of both, our outdoor studio was a perfect fit for these two to have a bit of fun and adventure. It’s secure location and purposefully designed for photography, everywhere you look a new location (backdrop) that makes it perfect for playing games. Animals just like children can get bored easily so we always keep our shoots fast, fun, filled with laughter and silliness. Both child and puppy loved the peek a boo game!! A fun session brings out the best of those involved, genuine smiles, moments are what we are all about, that’s why we work as a pair (Julie and myself), this we believe creates a relaxed atmosphere, creates great connections with both animals and children. Most the time they forget they are being photographed and just feel like the session is a great big game or adventure. Catching natural moments in our beautifully designed Outdoor Studio space is what we love doing. We love Milo’s gentle nature and the way he interacts with us. He is so gentle and placid at home and super playful and friendly out of home. He loves everyone and every dog. We also adore his curly coat, beautiful eyes, chocolate nose and pink tongue 🙂 Lara. To be able to create portraits for families like this ones, that they will cherish for years to come is something that makes our heart sing. A pet’s ( in this case – Milo the Dog) impact on ours and our children/s lives are so significant that having it captured in a photograph is truly magical. We believe that having your children (all loved ones, young and old) photographed regularly, being surrounded by photographs in their home is something that strengthens one’s self-worth, confidence and sense of belonging. 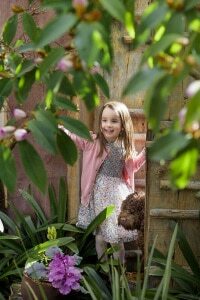 Thank you, Lara, for choosing PAWtraits as your photographers, we loved meeting you and loved every minute of capturing your gorgeous daughter and Milo playing together. Looking forward to meeting your husband at the next session, family portrait update is on the cards I believe. In love with these portraits? Thinking a Photographic Session in our outdoor studio would suit your family (fur children included)? We would love to speak to you in detail about it so we can plan your shoot around your wants and your children and pets personalities. Call 03 9482 2006 to speak to Julie or Tracy today. If you’re not already following PAWtraits on our Instagram and facebook, I encourage you to do so, it is the best way to see our recent sessions and give you a great idea on where your session could take place and what type of session captures your animals in at their best. 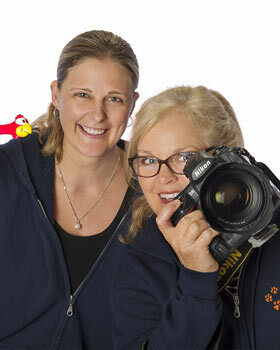 Yes we have been photographing people for many years, our parent company Lifeworks Photography has been around for 25 years!! 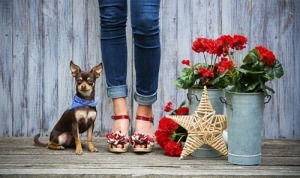 Preparing for your Pet’s photo shoot? Before your pet’s photo shoot! This blog is full of useful tips to ensure you and your Pet achieve the most out of your pet’s photo session. 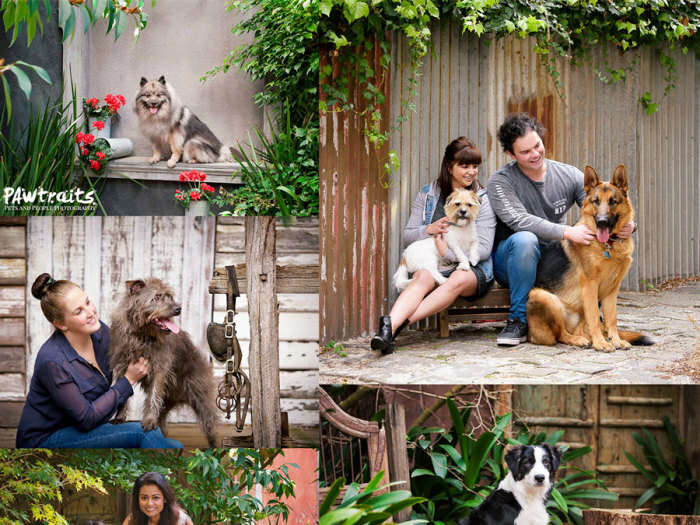 A personalised photo session by one of Melbourne’s Best portrait photographers, you and your pet/s are going be stars! We want to capture what makes your Pet/s really special! Is it one of their quirky personality traits, or the unconditional bond shared between the two of you. Every Pet is unique, just like people! 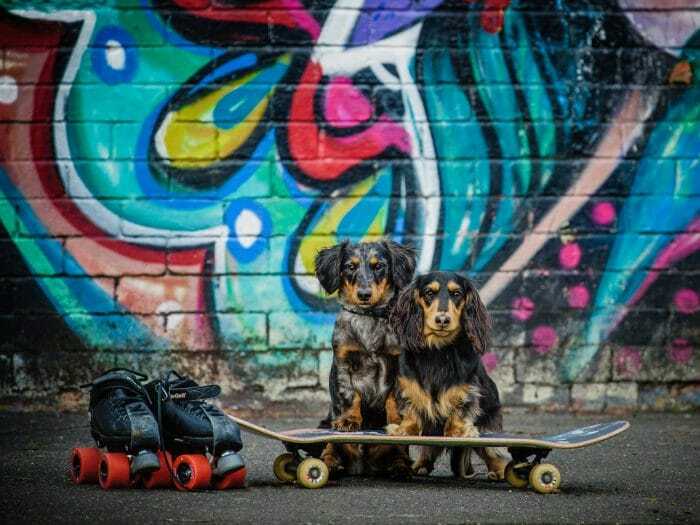 To ensure you and your pet’s unique relationship is captured, we suggest you to invest a bit of time thinking about the photo shoot before hand. Don’t worry it’s not too much homework (just a little). Of course the session isn’t just all about your pet/s. Having photos taken of yourself, your fur babies and your family will make your shoot even more special. We love to celebrate the relationships between Pets and their People. Ensuring yourselves and your pet/s look the best possible goes without saying! 5 Questions to think about before your PAWtrait’s Pet’s Photo shoot? By taking the time to answer the following 5 simple questions it will ensure you get the most out of your Pet’s photo session! We found those that took the time to prepare got more out of the photo session, than those who just turned up without really thinking about what they really wanted and what makes their pet so special. Is there anyone else you would like included in the shoot? If you have spoken to us already it is likely we have asked you this question. It is an important question, one very easy to dismiss quickly, due to this we’d like to explain why we believe it’s so important! 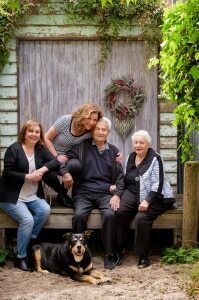 It is not every day that you get the opportunity to be photographed by a one of Australia’s best professional portrait photographer, so to make the most of it we like you to invite those closest to you to be involved. Have you just got engaged? Want an update of the children for the wall? Been meaning to have family portrait? Pet’s are a large part of our lives and they are our family. So why not do it all at once! If reading this has changed your initial answer to when you spoke to us, please call us to discuss these details. Does my pet need any special maintenance before the shoot? Your pet may need to have a brush, be washed, trimmed or clipped, this will enhance getting the best end result. Try to have all your pets preparation done at least a day or two before. We don’t want your pet too exhausted to smile during the photo session. What about the clothing and hair styling for the rest of the family? Having children’s hair trimmed before the shoot is likely to be on your to do list. Do this at least a week before the shoot is advisable. With children’s hair cuts we find that sometimes a new cut needs a few days to settle in. Ladies may like to go to the hair dressers prior to the photo session, we suggest that if you are doing this closer to the shoot date maybe hold off on that dramatic new cut and go with the wash and blow wave option from your trusted local hairdresser instead. We suggest doing makeup yourself as you usually would, all purchased images are retouched by our in-house experts. Please have your hair and make up done prior to arriving at the shoot, we find you will look and feel fantastic and be more relaxed during your session. If you never wear make-up, then al-la natural is perfect also… we want you to be yourself! Wear clothes you feel great in! It is that easy. If you love to dress up we can do a fabulously “fancy” portrait for you, if you are casual, trendy, classic or eclectic, we can do something PAWsome to suit your style. Choose colours that don’t blend with your pets colouring, for eg. try to avoid all black if your dog is black. If there is more than one person being photographed with your pet/s, choose clothing for everyone that co-ordinates well and looks great together, avoiding a mix-match of patterns and colours is advisable. “Keep it simple” is a great motto to go by. As we are often in Parks and feet will be in the shot, consider shoe choice and sock colours, footwear you can easily walk in, that you like the look of and will be happy with in your photos. Personalising the shoot – What do you need to bring? Definitely yourselves and your pet! We understand that every pet is different, they all have unique personality traits. Take the time to think about what make your pet unique, and how can we incorporate this into the shoot to make it extra special. Some people bring special outfits, others special toys that show off unique skills or tricks their pets have mastered. Does your dog fetch you the Newspaper or a beer from the fridge? Able to retrieve special items on request? Is their a certain household item your pet likes to sleep/squeeze itself into? Clothing Basket, undersized cardboard boxes. Does your pet love water, frisbees, a soccer super star? Or do they love being carried around in your handbag? So any props/outfits that may add to the pet’s photo shoot, please bring those along, we are open to all ideas and happy to discuss and design something extraordinary for you! We do ask if your pet has a favourite toy, or likes special treats to bring these along. If small children are also involved in this shoot we ask that you bring a small healthy snack and a drink for them just in case.We find that if a child is hungry or thirsty, they are not at their best. If out on location please arrive ready to be photographed. If we are photographing at the studio, we do have facilities for you and your family to get changed if need be. Please note Pet’s Photo sessions usually take between 45 mins – 1.5 hours. We find for pets and younger children (under 6), short and sweet is best, ideally under 1 hour. We make this shoot as fun and as memorable as possible so there will be laughter and silliness! What would you love to have out of this shoot? It’s important to take the time to consider what would you love to get out of your pet’s photo shoot. It more than just a chance to give something back to charity it’s the perfect opportunity to create something that you will treasure for ever. It may be an Album, a collection of professional prints, a large wall portrait to hang in your home? If you love the idea of a special pet’s photo for your wall, think where in your home you are likely to place it, what colour tones suits your home decor best? Do you find yourself attracted to the more clean, classic images, those a bit more contemporary in style or prefer a rustic outdoors backdrop? Or are you known more for your eccentric tastes and want to go with a fully themed shoot filled of lots of quirky props. Whatever you would like, please discuss your these with us, we are here to help and provide you with something to treasure. Soccer Super Star, he could bend it better than Beckham!! Adding a touch of colour can make your images really pop! Blues and reds are always a wonderful contrast in colour! We loved this woman’s heels and had to feature them! These two are so adorable and they were so perfectly behaved when they visited our studio! Are your pets full of energy? The beach or a large park may suit them best. Let us catch them doing what they love! In this case running full speed at us! We had so much fun creating the first Book, “Best Friends, Pet’s and their People” and have multiple requests for the next edition, so we couldn’t not. We have lots of new ideas and props here at the studio, now we are just waiting to meet you and your furry, feathered or scaly family members shortly! Can’t wait to create something PAWsome for each and everyone of you!